There is sightseeing by personal car, hiking, biking (established roads only), picnicking (2 designated picnic areas in park) and camping. Join a ranger, March through October, for a talk, walk, hike or campfire program. 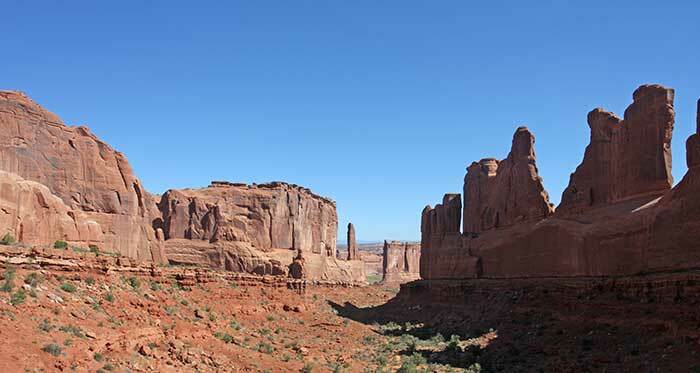 Hiking trails of varying length and difficulty lead to and through arches and into the heart of the park. There are no designated backcountry trails or campsites. Park Avenue: 1.0-mile moderately easy hike between the trailhhead and The Organ passes through smooth rock canyon bottom within high walled balanced rocks. Balanced Rock: 0.3-mile easy hike around the base of Balanced Rock. Windows: 1.0-mile round trip is easy round-trip to North and South Window and Turret Arch. Additional 0.7-mile hike is more difficult but completes the loop. Double Arch: 0.8-mile easy round trip through low sand. Delicate Arch: 3.0-mile round trip is somewhat strenuous -- 500 foot elevation gain across open slickrock with no shade and some exposure to heights. Take water. Best just before sunset for spectacular view from the base of famous Delicate Arch. Delicate Arch Viewpoint: 100 yards round trip for a distant view of the arch. Sand Dune Arch: 0.3-mile easy round trip; great for kids. Broken Arch: 1.3-mile easy round trip across open grassland. 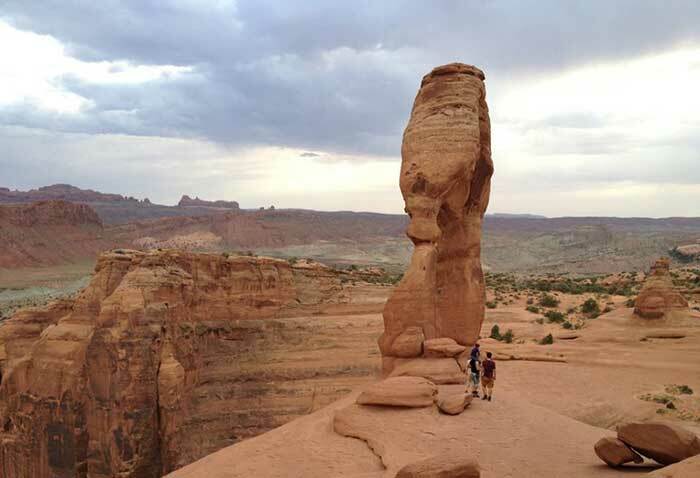 Skyline Arch: 0.4-mile round trip over rocks to the arch. Landscape Arch: 1.6-mile moderate round trip across gravel to the world's longest arch. Short side trips available to Tunnel and Pine Tree arches. Double-O Arch: Somewhat difficult 4.2-mile round trip has short elevation gains, rocky footing and some exposure to heights. But well worth it! Add side trips to Navajo and Partition arches. Primitive Loop from Double-O to Landscape Arch: 2.2-mile round trip is difficult low route through fins. Slippery when wet. Add a trip to Private Arch. Tower Arch: 2.4-mile, moderately difficult round trip in the remote Klondike Bluffs area. Fiery Furnace Three-hour, strenuous hike that involves rock scrambling. You can reserve a ticket for morning tours up to six months in advance at recreation.gov. 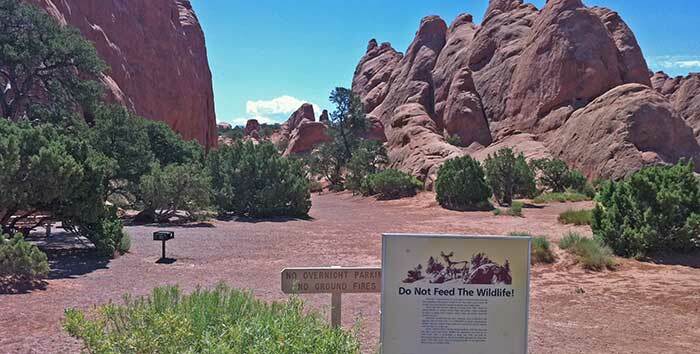 Afternoon tours are only sold in-person at Arches Visitor Center. While the Moab, Utah area is famous for mountain biking, it is permitted only on paved roads within park boundaries. Numerous areas outside the park offer some of the best mountain biking anywhere.